WHY IS THE U.S. so hell-bent on celebrating Cinco de Mayo? One of the biggest misconceptions concerning Cinco de Mayo is that it celebrates Mexico’s Independence Day, when, in reality, this is just not true. Mexico gained independence from Spanish rule in 1810, and celebrates the federal holiday on September 16th. In fact, most businesses, banks, and federal offices are open on Cinco de Mayo. This culturally-appropriated holiday is actually the celebration of the victory of the Battle of Puebla against France in 1862, led by General Ignacio Zaragoza. The success at the Battle of Puebla — or Cinco de Mayo — was a small victory for Mexico, and is celebrated nationally. Ask any Mexican in the U.S. how they celebrate Cinco de May, and don’t be surprised if their answer is that they don’t celebrate it very much at all. Although they may recognize the national holiday, Cinco de Mayo isn’t a holiday that generates a lot of patriotism, as most non-Mexicans or Mexican-Americans might think. It’s not shocking that the U.S. has turned Cinco de Mayo into a widely-commercialized holiday aimed at consuming Mexican “culture” at cheap prices without much reference to its actual history. Every May, bars and restaurants over-indulge in “authentic” Mexican Cinco de Mayo specials which, more often than not, feature tequila, cerveza, tacos, guacamole, and margaritas. Chances are high that most places will also have serapes draped across tables and chairs, and you can rest assured that you will see an unusual amount of atrocious mustaches accompanied by highly obnoxious non-Raza donning sombreros — AKA the Cinco de Drinko starter kit. That’s not even considering all the Cinco de Mayo frat parties that oblivious college students looking for any excuse to get wasted are going to attend. 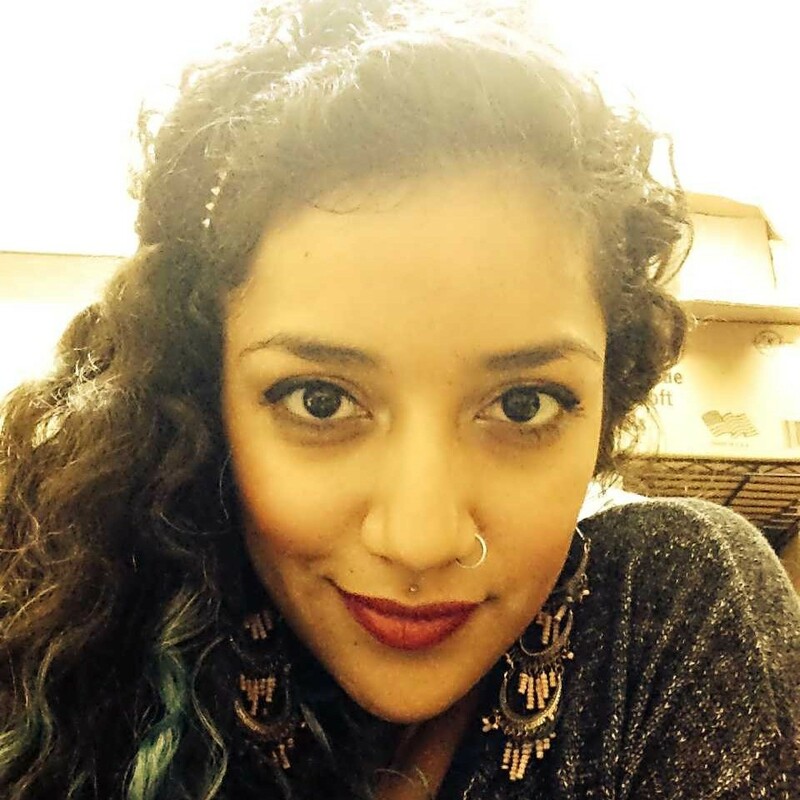 Mexican culture is so much more than these stereotypes. Despite Cinco de Mayo’s popularity in this consumer-heavy society that wants our so-called culture but does want that culture’s people, the best thing about this holiday is the communities that are actually trying to revive and embrace the significance of this Mexican victory. There are many organizations and communities throughout Los Angeles that put together Cinco de Mayo festivals that appreciate and acknowledge its history. La Placita Olvera in Downtown hosts one of the most highly-recognized, family friendly, and free (all pluses!) 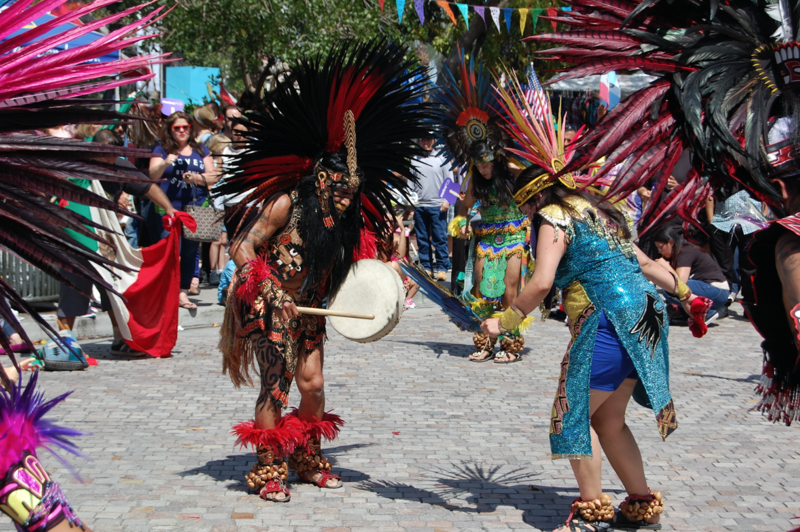 Cinco de Mayo festivals, with food vendors, traditional dancers of all ages, live music, art, crafts, and street vendors. Not only does La Placita offer free entertainment, its neighbor, La Plaza de Cultura y Artes just across the street, also celebrates with live traditional music, family-centered workshops. As usual, their exhibits are free to enter. It’s like getting two authentic and non-appropriative history lessons in one. Lucha Va Voom at the Mayan Theater in Downtown LA. Another event worth checking out is Revolution Cinco de Mayo at the Belasco theater in Downtown. This music and art festival is aimed at immersing its audience in political art, education, and music. Dov Serrot Productions co-founder Oran Smith explains: “We wanted to create an event that embodies what we think Cinco de Mayo represents. It’s about making change, creating a revolution and standing up for something you believe in. Especially with what is happening with society and politics, there are so many people trying to divide the world, we want this to be something that brings people together.” Revolution will feature three stages, 24 artists, visual and interactive media, and burlesque dancers. Looking for something less political to do on Cinco de Mayo? Lucha VaVoom never disappoints with their yearly Psychedelic Cinco de Mayo at the Mayan theater. It’s a celebration of acrobatic luchadores — masked wrestlers — burlesque dancers, comedy, and striptease. 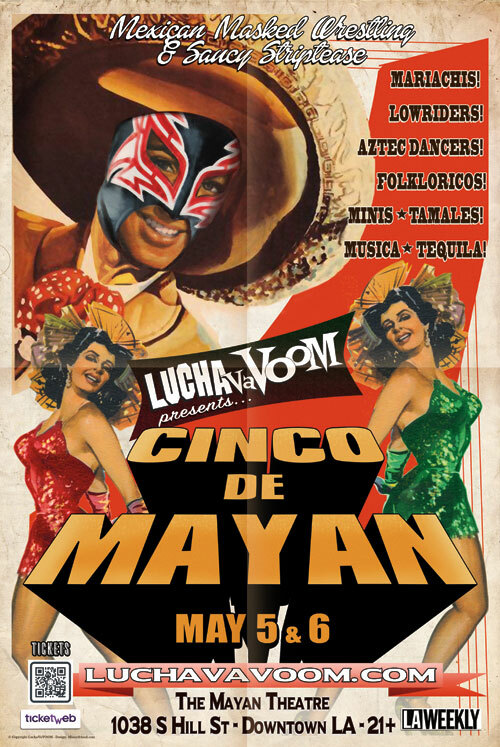 Lucha VaVoom is far enough from politics and historical context, but a much better form of entertainment than your local bar run by people who only see dollar signs when they think of Cinco de Mayo! It’s important to learn about the historical context of this “holiday,” acknowledge the stereotypes, and identify how they are problematic. We can still celebrate the spirit of this day without simultaneously disrespecting the culture or the people it belongs to.